I ask readers to pray tonight for Fr Norman Wrigley of the Archdiocese of Westminster, the holy, kind, gentle, and very much-loved Priest of the Archdiocese who so exuded charity, love for Christ and His Church, and his brethren, as well as a rare sincerity and simplicity of heart and manner that I decided I wanted to become a Catholic more or less immediately. I have tonight heard that he is dying. 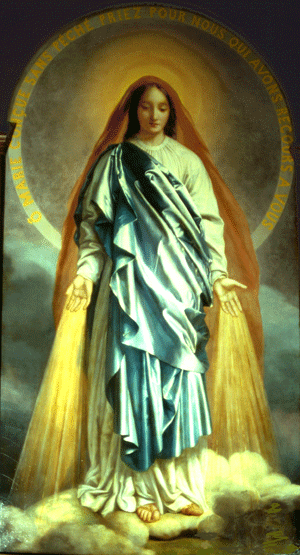 May the Lord Jesus strengthen his servant and Our Blessed Lady intercede for him before the Throne of her Divine Son. May he receive the crown of life everlasting. Update: Please pray for the repose of the soul of Fr Norman Wrigley. May his soul and the souls of all the faithful departed, through the mercy of God, rest in peace. I hope he had a 'traditionally' faithful funeral rite. And that Masses by traditional priests are offered for him. The rest...is silence. God rest his soul. I have prayed for him, Bones, and will continue to do so. May I prayerfully and heartily recommend the Rorate Caeli Purgatorial Society to your readership? "That Book Has Done Me a Lot of Good!"